Contractor’s Question: A client of my ‘Plan B’ in Australia has not paid me for two months for work I did for his charity at a cost we agreed, in writing. Upon completion of the work, which he called “amazing”, I invoiced and he vowed to pay promptly. He then went off the radar. Lots of email ‘pay me’ reminders later, he resurfaced to accuse me of harassing him, despite all my reminders being polite if a bit pointed. He now says I didn’t do the agreed work and alleges I broke a confidentiality agreement as I emailed a third-party and cited the work. There is no agreement and I emailed the party just asking how to get hold of him to get the monies owed. How can I get paid by this overseas client? Expert’s Answer: Charity may be good for the soul, but in cases like this it is rarely good for your cashflow! Unfortunately for you it sounds like this particular client is now trying to use the distance between you to avoid payment, seeing as they have already taken delivery of your work. This is a depressingly regular occurrence for many micro-businesses and freelancers given how easy it has become for even modest-sized businesses to source international clients. The good news here is that you appear to have done everything you can to ensure your business is in the best possible position to recover the funds. Having agreed the price in advance, received positive feedback and most importantly having been promised payment, it will now be very difficult for your errant customer to argue your services have not been up to scratch. The bad news is that the distance and different legal jurisdiction may make it difficult for you to recover the debt without specialist help. The quickest and most cost-effective route to reaching a resolution would be to hire a reputable debt collection agency (DCA) with coverage in Australia to pursue the debt on a contingency (i.e. ‘no-win-no-fee’) basis. The key is finding an agency based in the UK that you feel you can trust and one that has a proven track record in international debt collection. Many debt collectors will claim to collect international debts but in reality, will simply chase a debt from their UK office, so you need to ensure any agency you contact has a local agent that can contact your customer on your behalf. 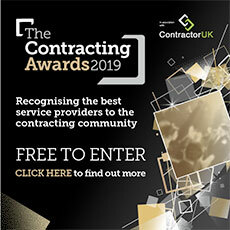 As we have recommended to ContractorUK readers before, enlisting a DCA is very similar to sourcing any other supplier; you need to find an established company with easily verifiable references and company history that understands your specific needs. If possible, look for companies with strong ties to other similar business or trade associations and avoid any company that makes promises that seem ‘too good to be true.’ Also, we recommend, avoid those that ask for a significant up-front payment. If all else fails and your customer won’t pay without a court order, a reputable DCA will be able to guide you through the costs, process and potential pitfalls you will face as a creditor so you can make an informed decision as if to pursue a legal case or not. In closing, while it can seem difficult to know how to handle pursuing export customers when the relationship sours, provided you have a clear contractual agreement and have delivered your services as per the agreement then you do have options available to you. Good luck but do contact us if you’d like further assistance. The expert was Adam Home, collections manager at Safe Collections. Contractors’ Questions: Should I be paid for ‘unsatisfactory’ work? Contractors’ Questions: What if my agency won’t pay for client-approved work? Contractors’ Questions: How to invoice a client overseas?